While mortgages remain difficult to qualify for, the most popular at the moment appears to be the fixed-rate two year mortgage but this is quickly falling out of favour as the rates have increased substantially. In fact, within just a four year period, the two year fixed-rate mortgage has risen by as much as 140 percent and from just March of this year to April, those costs rose the sharpest within that four year period. In March, the average offer was 3.44% but in April that rose to 3.65 percent which is a far cry above the average costs in Sept 2011 which were set at 2.92 percent. 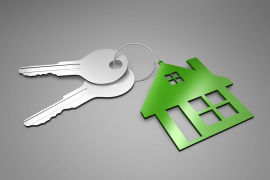 Research by Defaqto indicates that the two-year fixed rate was rising in popularity as it now accounts for approximately one-third of all offers whereas four years ago it only accounted for one-fifth of mortgage offers. Even though there was a sharp rise last month, the Bank of England figures still show that these rates still remain at record lows. Unfortunately, with the compounded problem of inflation and wage freezes across the UK, it is still difficult to qualify for mortgage loans without a sizeable deposit, unlike the mortgage climate of the ‘pre-crash’ days. 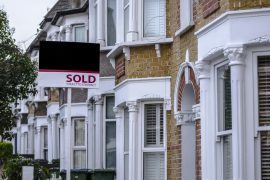 The annual mortgage lending gross figure is at approximately £150 billion but rising costs of mortgages may, in fact, impact at least £30 billion of that amount. As well, three and five year fixed rate mortgages rose which is further compounding the mortgage procurement problems besetting the nation. Three year fixed-rates rose by 0.14 percentage points last month whilst five year fixed-rates rose by 0.08 percentage points in the same period. 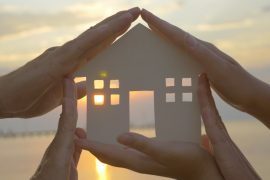 With more than half of all mortgages in 2011 being fixed rate loans, according to the FSA, analysts forecast this to have a significant impact in the immediate future – and that does not bode well for borrowers.